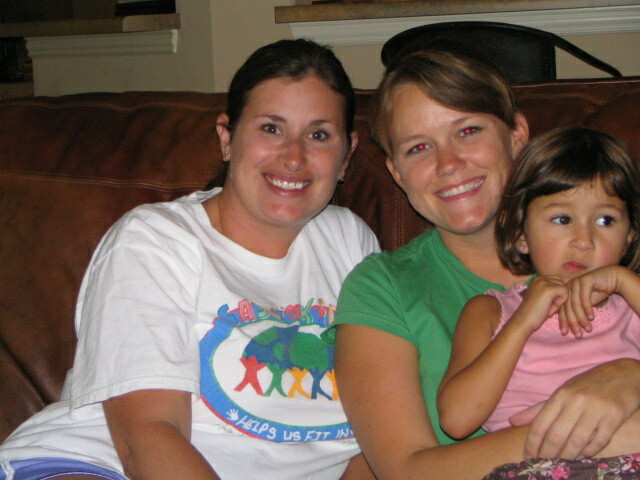 We met Nicole and her sweet daughters, Sam and Selena, at swim lessons last spring. 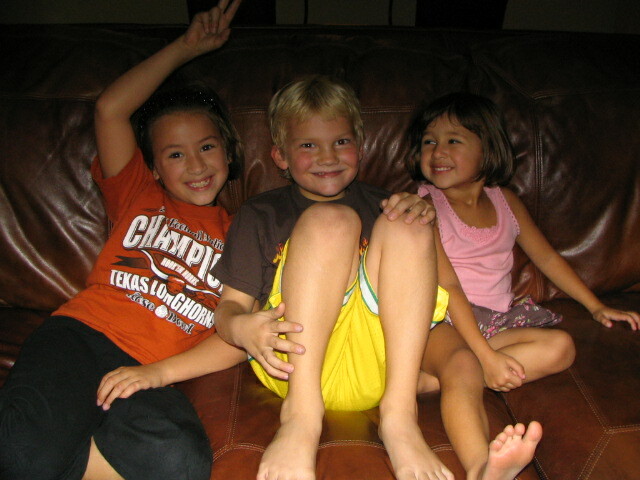 Had several picnic trips to the pool this summer and the kids became fast friends (Nicole and me, too!). They came over tonight for pizza and a visit...sadly our last for now. The kids...all sweating and crazy from being outside. Finally, a picture of Nicole! You have been a good friend to me, and I will miss you! Still Too Early For Halloween?